How much time does it take USAA to settle a case? How long does it take USAA to send a settlement check? How many months do I have to wait to get paid by USAA after an accident? How long does it take for USAA Insurance to settle an accident claim? How long does USAA take to process a personal injury claim? USAA started in 1922 with the intention of providing reliable auto insurance to consumers. The company was created by 25 Army officers in San Antonio, Texas, where its headquarters still reside. The business stepped up and began offering different types of insurance as it grew, and it was one of the first to directly market to its customers. However, as time went on, USAA began to focus on making money – and insurance companies make the most money when they don’t have to pay out claims to those who need them. If you wish to file an accident claim with USAA, you should make sure you have all of the necessary materials. First, you should have the demand letter present that will detail the occurrence of the accident and list the compensation you desire. This demand letter will be sent with the evidence package. The evidence package should contain necessary medical bills, photographs of the damages to your body, pictures of damages to your car or personal belongings, doctor’s notes, a copy of the police report, eyewitness and bystander testimonies and statements, and anything else that would bolster your claim. You will send this package to the insurance agent at USAA. It may take a few weeks for him to get around to reviewing it; USAA serves hundreds of thousands of customers, and each agent is usually responsible for many individuals at a time. Once he reviews it, he will consider numerous factors before making a decision. The main factor will be your injuries – how severe they were, how extensive they were, and how much of an impact they had on your life. If they forced you to change your daily routine, prevented you from going to work, permanently altered your lifestyle, or will prevent you from pursuing future employment opportunities, your claim could be worth a fair amount of money. He will also consider your age, occupation, degree of negligence or fault, and more. Upon reviewing all of these details, the USAA agent will either accept your request for compensation and make a settlement offer or he will reject it altogether. If he makes an offer, you can negotiate a better deal; if he rejects it, you can continue to hound him, or better yet, contact an attorney to handle your case. Victims of accidents who have filed claims should be paid as quickly as possible. Unfortunately, USAA will likely make you wait before handing out a settlement, if it hands one out at all. There are some laws that dictate how much time can elapse between your submission and the insurance company’s actions, though. For example, if you submit a claim to USAA, the company has 40 days to reply to you – whether to reject it or accept it. Other lengths of time are discussed below. How long does it take for USAA Insurance to settle a claim? The amount of time it takes USAA to settle an accident claim depends on the amount of negotiation involved in the case and how complex it is. You could be embroiled in a long, drawn out process that will involve the insurance company purposely delaying its responses to try and wear you down. How long does it take USAA to settle a case? The length of time it takes USAA to settle a case will depend on how much consideration the agent will have to do and how much negotiation there will be. If you do not have an attorney, you may not be able to negotiate for very long; the process can be draining and you might not have the experience or skill set required to win. An attorney can speed the process up, but it still may take months before your case is settled. How long does USAA take to send a settlement check? The amount of time it takes USAA to send a check is also regulated by the law. Once a settlement has been reached, the insurance company has 30 days to pay up. The check may come straight to you or go to your lawyer’s office if you were represented by a firm. How long does it take USAA to pay out a claim? Bear in mind that the process of receiving the paycheck after the settlement is far quicker than negotiating the settlement in the first place. If you do not receive payment within 30 days, either contact USAA or your lawyer to see what the problem is. If the insurance company has flat out denied to pay the agreed sum, you could take further legal action. For property damage and lost wages, how long does it take USAA to settle a claim? How long it takes USAA to settle a lawsuit for property damage and lost wages varies on the consideration of the agent, but fortunately, these types of claims are usually less delayed. This is because there is less room for the agent to argue anything; a mechanic’s estimate is fairly straightforward, and lost wages can be proven by providing a pay stub from your employer. Often, USAA agents will be glad to not have to deal with medical bills and emotional trauma, and will be more lenient with how quickly they handle such cases. If you do not have an attorney, you may find filing a claim with USAA extremely difficult. The insurance agents are less likely to listen to you and you won’t be able to easily reach them. Further, they will not take you seriously if you do not have enough experience with negotiating a better deal. An attorney at our law firm can stay on top of your claim and ensure that you are fairly treated. We will hire expert witnesses to contest the disputes the insurance agent brings up and we’ll relentlessly pursue a fair settlement. It is crucial that you seek adequate legal assistance if you have suffered physical injuries in a car crash. We know the best methods of dealing with USAA agents and can help you get what you deserve. However, if you only have a property damage claim, you may find it more prudent to not hire an attorney. There is usually no need for negotiation if the insurance agent is willing to pay a fast settlement. Still, you may seek a consultation to make sure you’re not being low balled or cheated. An attorney can also help you determine if USAA is acting in bad faith. Low balling offers, or making an offer for a settlement that is drastically less than what the settlement is actually worth, is illegal and can be used as grounds for a bad faith claim. Don’t let USAA get away with these acts. Call an attorney to help you through the entirety of your accident claim. We will file the necessary documents for you, send out request letters, negotiate with the insurance agent, stay on top of your case, and bring you the maximum compensation available under the law. If USAA acts in bad faith we will sue them to bring you additional restitution. Kenmore Law Group is one of the top-rated law groups in Los Angeles. We have years of experience handling claims with USAA and can make sure that your case is dealt with speedily and efficiently. We will work around the clock to hurry the process along and will strive to secure you the fairest settlement possible. If USAA refuses to come up on their offer and continually violates agreements, we will take your case to court. Call our law firm today to schedule a free legal consultation with an expert attorney. Our lawyers are available around the clock – 24 hours a day, 7 days a week. We will always be around to take your call and help you through your situation. During your consultation, we’ll happily tell you anything you need to know about USAA claims and what you can expect out of the legal process. 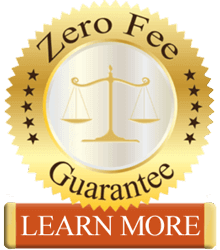 By choosing us to represent you, you’ll receive our zero fee guarantee, which states that you won’t touch your personal savings throughout the case. You will not have to pay any legal bills at all. We will cover the case’s costs and will only be reimbursed if we win – and the money will come from the settlement we bring you, so USAA is responsible for your lawyer fees. In thee event that we lose, you won’t have to pay us a dime. Your financial standing is important to us, and we believe no one should accrue debt because he pursued legal help and did not win his lawsuit. For more assistance, get in touch with an accomplished attorney at Kenmore Law Group today.